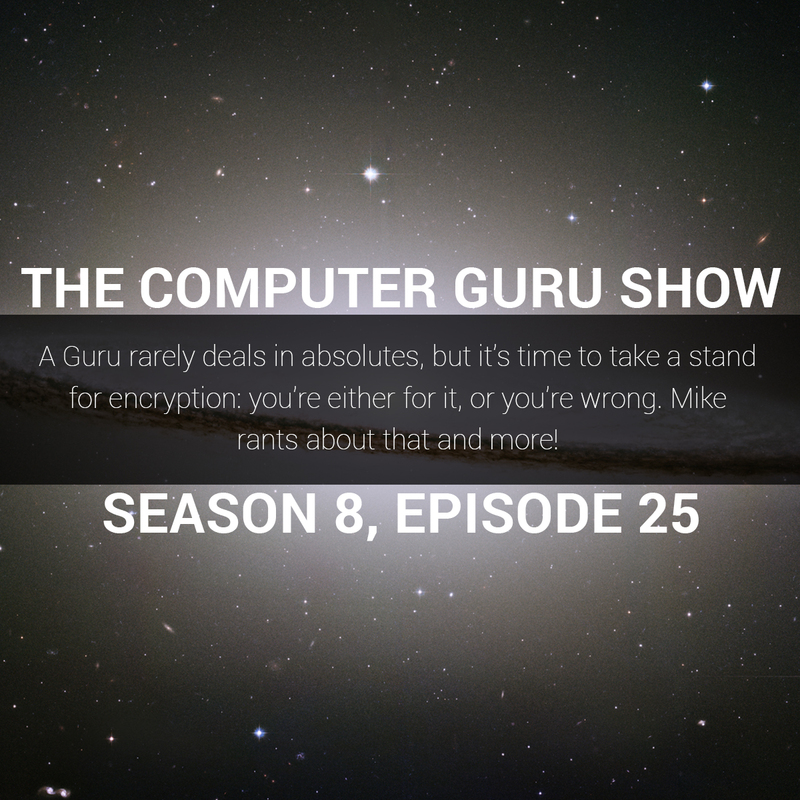 Podcast S8E25 – A Guru rarely deals in absolutes, but it’s time to take a stand for encryption: you’re either for it, or you’re wrong. Mike rants about that and more! A Guru rarely deals in absolutes, but it’s time to take a stand for encryption: you’re either for it, or you’re wrong. Mike rants about that and more! The battle against encryption is starting to get ridiculous, and it's time to take a stand. You're either for strong encryption, or you're wrong. This week, Mike explores that idea as well as answers your questions and talks tech news with Tara.